Aztec codex provides clues to the origins of Tenochtitlan. Six teams battle for dominance in madcap “March Madness” tournament. Hauser Library launches “Zine Library” to incorporate new voices into its special collections. Armed with spatulas, spoons, and spirit, students battle for timê in the Great Reedie Bake-Off. First-year students examine the metropolis from its foundation to the Zapatista protests of the 1990s. What’s Wrong With Bike Lanes? Riding the streets of Southern California, urban anthropologist Adonia Lugo ’05 realized that bicycle advocacy has an equity problem. How do you deliver vaccines to remote areas where there are no roads? Sheldon Yett ’86 is trying out one idea. Ten Reedies changing the future of transportation. Commuting, touring, trekking, exploring, seeking, serving: Reedies are changing the way we move around the earth and go beyond. Created with a $3 million gift by an anonymous donor, the chair memorializes an exceptional professor. Reed On The Road sessions focus on diversity and inclusion, strategic planning, and presidential search. Gov. Kate Brown hails the collegial style and “brilliant mind” of Judge Chris Garrett ’96. Mishaps on the high seas and more in a new novel by Kate Christensen ’86. Lillian Karabaic ’13 wants readers to regain control of their expenses and enjoy life. The latest collection of new works, from books to music to film, by Reedies. Ten Reed students will roam the globe to pursue projects of their own design. For 70 years, trailblazing economist Mason Gaffney ’48 has championed land over capital. She fought for gay rights. She fought for civil rights. At 77, she’s just recorded her first album. Kathleen Saadat ’74 tells us the inside story of her remarkable life. Wild boar, Aristotle, and Reed’s enigmatic festival of light. Gulalhi, a solo exhibition by Stephanie Gervais ’09, opens at the Cooley Gallery. Prof. Irena Swanson is named a Fellow of the American Mathematical Society. Defense, experience, and a rainbow three-pointer spell victory for the veterans. Professors win NSF grant to find ways to protect personal information stored in giant databases. Twenty outstanding teacher-scholars join the Reed faculty. MRC celebrates 25 years of multicultural engagement. Bio 351. Developmental Biology with Prof. Kara Cerveny. Community pantry nourishes Reedies on their intellectual odyssey. Incoming students include a web developer, a fashion expert, and a trapeze artist. Economics 315. Game Theory with Prof. Jon Rork. An epidemic of wellness, the certainty of dying, and killing ourselves to live longer. Kathy Such Love ’72's intimate portrait of a fascinating bird. A fresh batch of new works, from books to music to film, by Reedies. Prof. Charlene Makley's new anthropology of Tibetans in developing China. Physics 366. Elementary Particles with Prof. Andrew Larkoski. Supporters rally for Reed, breaking previous record. Religion 310. Death, Hell, and Rebirth in Chinese History with Prof. Ken Brashier. History 338. Crisis & Catastrophe in Modern Europe with Prof. Mary Ashburn Miller. Sarah Panetta will head development team. Goal is to overhaul structure and streamline procedures, but some alumni oppose the changes and are calling for a referendum. Reed hosts Tin House workshop in July. Because Reed took a chance on a geeky kid from Texas. President John R. Kroger will serve as leader-in-residence at Kennedy School after he steps down from Reed. Bumper crop of Reed grads win Fulbright fellowships. The Andrew W. Mellon Foundation, staunch defender of the humanities, supports the expansion of the Hum 110 curriculum. Prof. Katja Garloff receives award to study German Jewish Literature. Trustees, faculty, staff, and students appointed to committee to search for a new president. Jim Compton ’64's posthumously published Native American history is a nuanced portrait of a Modoc chief. A mix of essays, memoir, and original poems by Shadab Zeest Hashmi ’95. Reed alumni discuss strategies for helping the city’s houseless population get back on their feet. Wall Street Journal columnist Jason Riley emphasizes “human capital” over political leadership. Reed team wins competition for letter advocating better balance on ethnic studies advisory panel. After two tours of duty in Afghanistan, Army veteran Laura Swann ’19 brings a unique perspective to Reed. A letter from the outgoing chair of alumni fundraising for Reed. From the alumni board president. Author Janet Fitch ’78 storms the barricades with new novel on the Russian Revolution. Tin House founder and New Republic editor becomes Reed trustee. 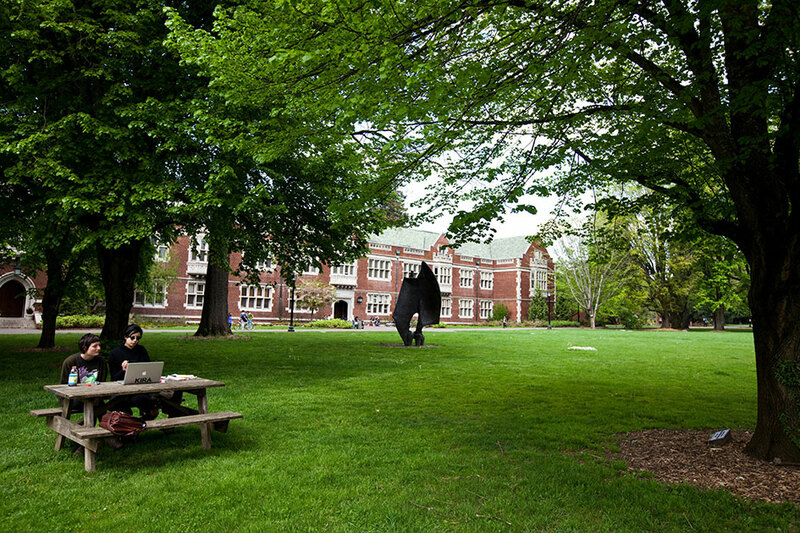 An econ major writes a letter to the donor who made his education possible. Movie adaptation of Prof. Pete Rock's book hits theatres this summer. Mingus Mapps ’90 is on a quest to revitalize one of Portland’s most divided neighborhoods. Reed students bring the thrill of mathematical and algorithmic thinking to local public schoolchildren. Why senior theses at Reed are inherently creative. Cancer expert Preetha Rajaraman ’94 is at forefront of global public health. Eight students win awards to pursue summer projects. Long-serving VP Hugh Porter will take the reins during transition period while Reed searches for a new president. Congrats to Professors Bashir, Cerveny, Cohen, Duffly, Khan, Szwarcberg Daby, and Zornik. Says Wall Street Journal editorial board mischaracterizes the changes to Hum 110. Ashlee Fox ’19 will tackle problems of food access in Indian Country. 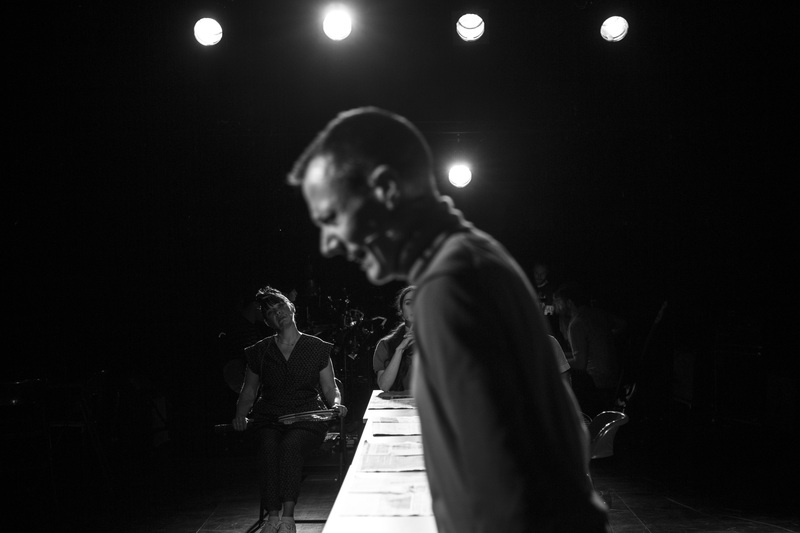 Experimental musical is based on archive of iconic punk band Fugazi. Reed students staged a surreal media hoax in 1976 Oregon Democratic primary. Alumnae, students, and faculty gather for summit at Reed. Reed grads pour libations to kick off March Match Campaign. In honor of World Poetry Day, we offer some work by Reed poets. Interdisciplinary program may graduate its first cohort as soon as 2020. 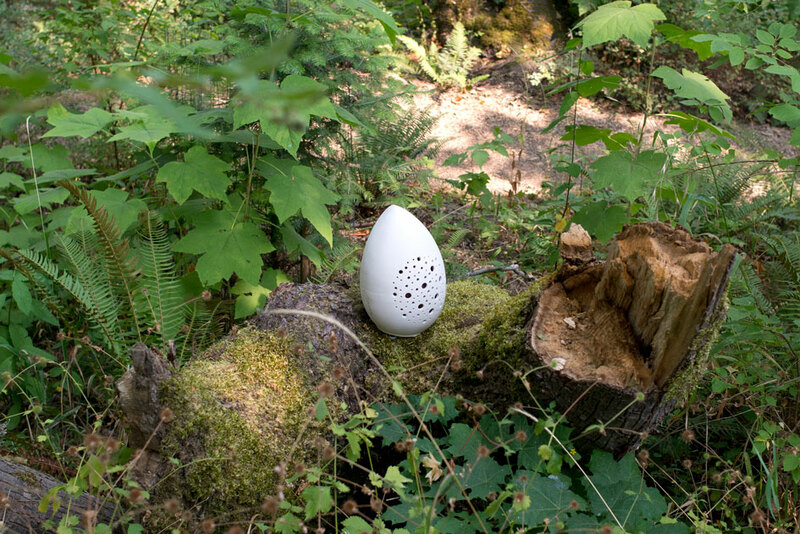 Did Steve Jobs really steal the Doyle Owl? Steve Jobs' historical convocation speech delivered at Reed College in 1991. With chisel and hand plane, master craftsman Gary Rogowski ’72 joins woodwork and literature. Prof. Kris Cohen tackles group identity in new book, "Never Alone, Except for Now." New dorm is designed to create a sense of belonging. Visionary architect created a legacy at Reed. Inspired by Voltaire, Reed art show “Academy of Saturn” captures the imagination through sight, sound, and even smell. Yale professor Julia Adams ’80 pays it forward as a trustee. Harvard professor Ned Hall ’87 brings an insider's perspective to his role as a trustee. Will lecture on “The Practice of Political Medicine,” on February 7, at 7 p.m.
Do Reedies Dream of Electric Sheep? Students learn the art of lucid dreaming at Paideia. Reedies learn to embrace the cartoonist within at Paideia. Hyperallergic names Cooley Gallery exhibition "Nothing is Natural" as one of the 20 best art shows of 2017. Affirms that Reed's core mission is educational, not political. Students participate in Winter Shadows far and wide. Damaged roof requires demolition, removal, and rebuilding. How Does Reed's Judicial Process Work? 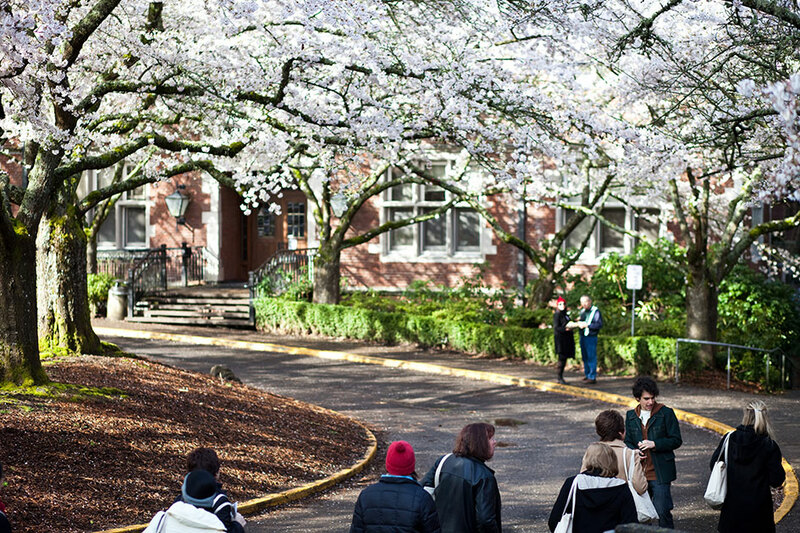 A brief overview of the honor process at Reed College. The untold story of the Reed freshman who fought in the last major offensive of World War I. Similar flyers have been reported at colleges and universities around the nation. Indie rocker Kip Berman ’02 releases fourth album with the Pains of Being Pure at Heart. The latest books, film, and music by Reedies. Injury, healing, and religion at an Ethiopian hospital. Reed clarifies its investment policy. Information and perspective on student protests regarding Hum 110, Wells Fargo, and diversity and inclusion. Former music prof recalls how Reed responded to a neo-Nazi group in 1965. Students, alumni, professors, staff, and associated life forms go the distance. Reed analyst explains the carnival of contradictions haunting US policy on the Korean peninsula. Chair of Hum 110 provides overview on curriculum proposals. President Kroger responds to RAR Day of Boycott.